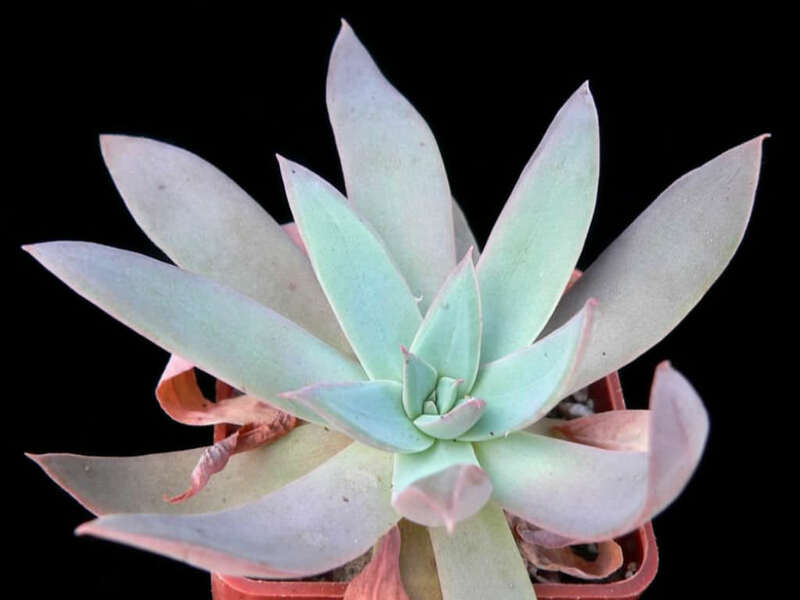 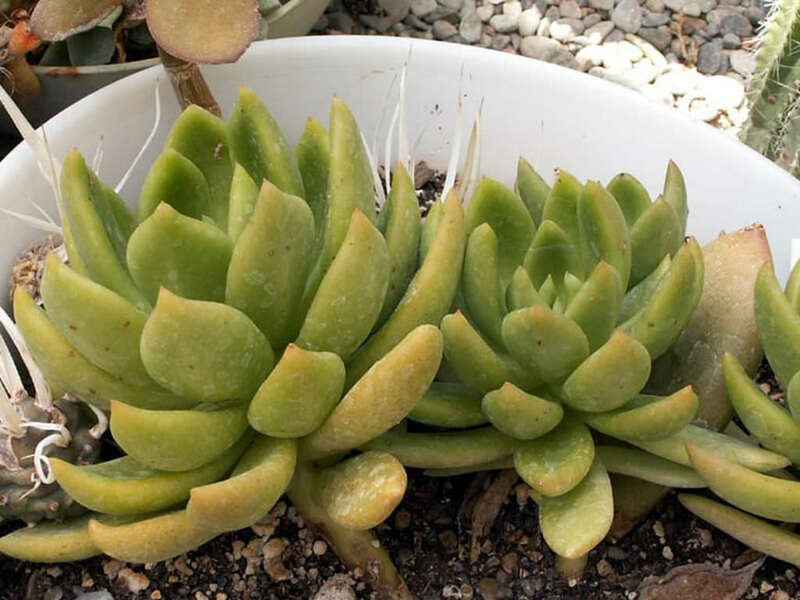 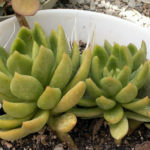 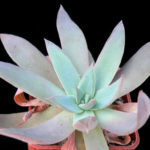 Echeveria chiclensis is a medium-sized Echeveria with short stem, branched in age, up to 6 inches (15 cm) tall. 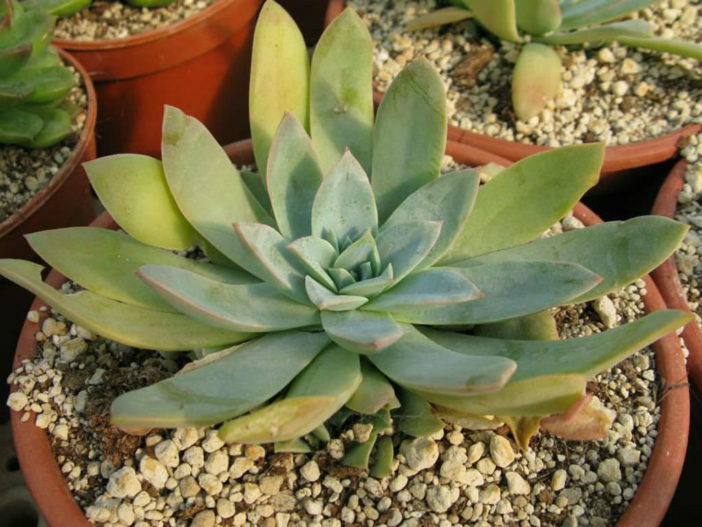 The leaves are narrowly, elongate, with upper surface concave, green to gray-green, up to 6 inches (15 cm) long and up to 1 inch (2.5 cm) wide. 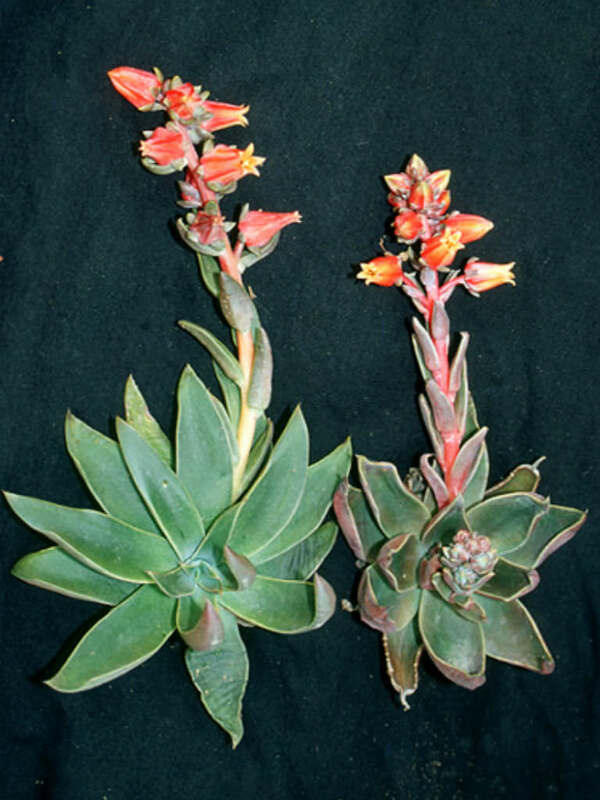 The inflorescence is erect, few branched and up to 12 inches (30 cm) long. 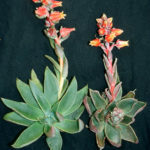 The flowers are orange-red with yellow tip and up to 8 inches (20 cm) long.